Bethel Advocate spoke to Holbrook Farm owners John and Lynn Holbrook this afternoon, and they assured us they are NOT selling the farm. It is true that Jessica Wong will be leaving the farm by the end of October when her lease is up, but the Holbrooks will not be leasing the farm out again. Instead they will be searching for someone to manage and operate the farm, and they will still be on the farm offering guidance. The Holbrooks still have to workout the details of Wong’s departure regarding things like her removing a greenhouse she had installed, and issues about equipment etc. But good news! The Holbrooks and their farm are here to stay! We will let readers know the follow up news to the farm. 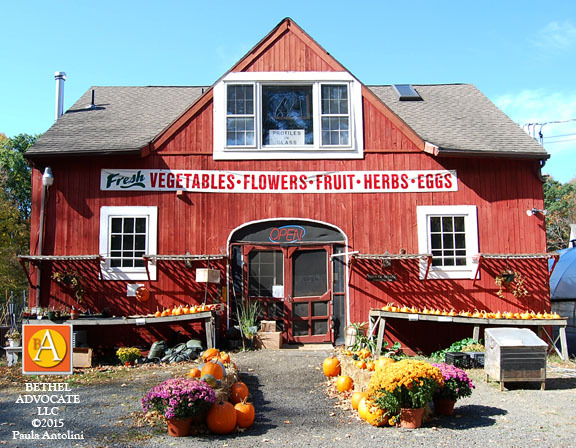 On Friday, September 21, 2018, Jessica Wong, the owner/manager of Holbrook farm (leased from the Holbrook family), located at 45 Turkey Plain Road, Bethel, CT, announced the the farm will be closing after October 2018. “There are no words that express the immense sadness that I feel. After several months of discussions, the Holbrook family and I came to a challenging final decision. It pains me to inform you that after November 30th, I will no longer operate Holbrook Farm. It has been an emotional process for me to let go of the only place that’s ever felt like home and to let go of all of you as my family. “God has a strange way of working in our lives, and as I’m learning to accept that he has bigger plans for me, I know I was brought to the farm for the past 8 years for a reason. Despite the turn of events, John, Lynn, and the whole Holbrook family have really opened my eyes to the amazingly beautiful grace of God for which I will be forever grateful. “I love this farm and I had big dreams to take the farm to the next level, really letting it shine like the hidden gem we all know it to be. With all of your support and the help of friends and family, I was able to begin breathing new life into an already incredible business. “I wanted more than anything to share the amazing energy I felt at the farm and to have it not only be a staple in the community, but transform it into a platform in which we could contribute to meaningful social change. ‘Throughout my experience at the farm, I have witnessed miracles, incredible acts of kindness, the power of community, and most of all, the love and compassion from all who have come into my life. The farm will always be in my heart. YOU will always be in my heart. “Despite not being at Holbrook Farm, I plan to continue focusing on my goal of changing the landscape of local food, and sharing all the wonder and beauty this awesome life has to offer… so I WILL be on a farm again some day. It has been such a blessing to have the opportunity to serve you, share with you, learn with you, grow, love, laugh, and find incredible joy with you. “So where does that leave us? “My current lease ends on Nov. 30th. That means I only have a few months to do the following and this is where you all come in! “I need to sell everything I have at the market. I will stop ordering new inventory on most items now, but maintain certain essentials like milk and bread until the end of October. We will continue to harvest what we have. PLEASE HELP CLEAR OUT MY FARM MARKET! “I need to make whole on all of those GIFT CARDS and CSA shares you all have. If you have a gift card or a balance on your current card, I urge you to please come in and use it before the end of October. “I will be ordering mums and pumpkins to end the season, but I WILL NOT BE SELLING THANKSGIVING TURKEYS or pies. I have spoken with my turkey supplier and he is happy to fulfill the turkey sales this year if there is sufficient interest. I will be sending out a more detailed email specifically on TURKEYS, so please contact us as soon as possible if you’d like to order a turkey and we can begin the process now. “I believe that we can get through this transition smoothly and efficiently, so if you have any questions or concerns or would like to help, please do not hesitate to call or email me. “Besides market inventory, I need to sell all of the shelving and other small tools/equipment, seed garlic, dahlia and calla lily tubers, seeds, and ALL MY CHICKENS and DUCKS. If you are interested in any of these items, please contact the farm immediately. “I also have two beautiful farm cats up for adoption. They are 2 year old sisters who are barn cats, but also enjoy snuggles. They are shy, but warm up quickly. I prefer that they be adopted together. One long haired black cat, the other short haired. Both fixed. Not all farm supporters receive my emails. Please share this email to your friends and family who support the farm and help spread the word. “Most IMPORTANTLY… My farm team is the most amazing group of people I have ever had the honor of working with, and I would love it if we could find them a job before the end of November. “While working for me for the last three years, Carmen and Marcos have been incredibly hard working, smart, honest, and responsible. They have been able to take on any project I’ve tasked them with, always executing with efficiency. At the moment, they are interested in house cleaning or small home improvement work so if you are looking or know of anyone who is in need of these services, please contact the farm immediately. “Diane has been working with me this past season and has displayed excellent managerial skills within the market. She has not only learned quickly, but has also demonstrated initiative and motivation to tackle all the farm market needs. In such a short time, she has easily worn many hats within this business and has been such a wonderful presence and friend! If you think she might be a good fit for your company or establishment, please contact us at the farm! “Brenna started working with us this summer and has been a tremendous help both in the field and in the market. Although she’s only been with us for a short time, Brenna hit the ground running and was able to handle anything I asked of her. 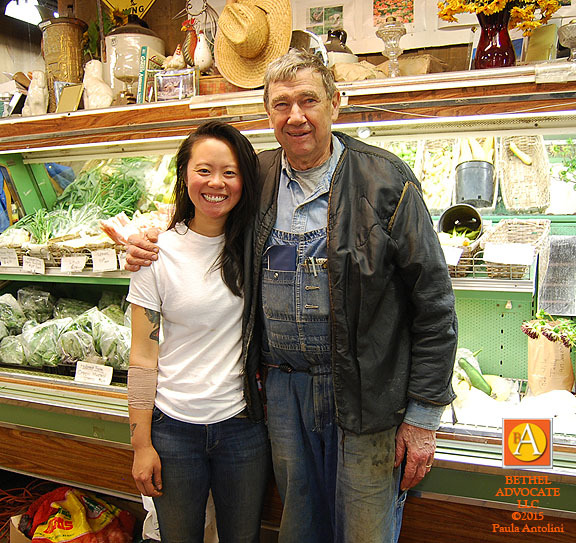 She shares the same belief in the importance of farming organically and has been a great friend. She is brilliant, incredibly hard working, focused, and genuinely has a passion for farming and gardening. “My team is my family. I could not have achieved my goals without them and I have complete confidence that they will prove to be invaluable assets wherever they go. It would be so great if you could help me find them work. “I am not certain what will happen next season, but I have been asked to let you know that the farm will be CLOSED from DECEMBER-APRIL. Keep an eye out for emails or any notifications for farm updates from the Holbrooks. After Nov. 30th, ALL SOCIAL MEDIA (FaceBook, instagram, email, website, etc.) will be handled by the Holbrook Family. “As for me, I will definitely take some time to decompress and reflect on this incredible journey. My time at the farm has shown me how endlessly curious I am about nutrition, growing good food, and the importance of food as medicine. Because of this change in direction, I have taken an interest in going back to school to work towards a naturopathic medical degree. My ultimate dream is to marry all of my passions and one day open a holistic naturopathic wellness center on a farm. I am creating a personal website where you can sign up for emails, newsletters, and updates on my progress. It will take time to fully create, but it’s a starting point. You’ll be getting an email with more details soon. I am excited for the next chapter of my life and it would mean so much if you stayed connected. Here’s to loving life and moving forward! In 2015 the original owners, John and Lynn Holbrook, had decided to retire after 40 years of farming. November 28, 2015 was the end of last year’s farming season for Holbrook Farm, and the “end of an era” as some might say. They leased the farm to Jessica Wong who operating the farm starting with the 2016 season. The Holbrooks were still at the farm though, to guide Jessica Wong with her new start-up. Wong was previously the manager of the Holbrook farm. She worked there four years and gradually took on more responsibilities, and after two years was promoted to manager. Then she decided to take a lease and run the farm herself in 2015. Located in Bethel, CT, Holbrook farm is a mere 12 acres, with only 2 acres in true production. With limitations to land size, the Holbrook family learned how to farm intensively while also being ecologically responsible. 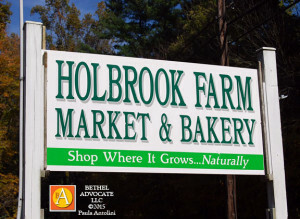 Holbrook Farm is a family farm; however, it is not the traditional version of a farm that has been tilled by the same family for generations. Although we have lived on the property for over 40 years, the expansion of our farm to one that welcomes visitors is relatively new. 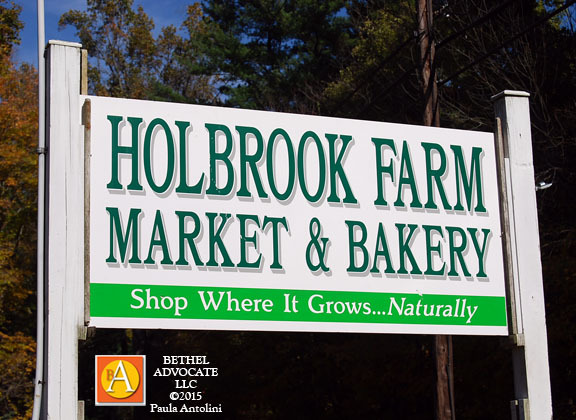 While not certified organic, “Holbrook Farm has been clean of pesticides and herbicides for at least the last 40 years that we have owned the land. We don’t spray with pesticides, we try to use beneficial insects and companion plants,” John says, “and we don’t use herbicides. Weeds have a place in the ecological mix as long as they are controlled.” The use of compost and natural leaf mulch aid in fertilization and weed suppression. The success of the farm rely’s almost entirely on soil health. After spending decades building the soil to its current state, there is more than enough nutrients for crops to flourish. What you put into the environment and what you take out matters. We farm without use of plastic mulches and we reuse plastic and other goods as much as we can to reduce the amount on the farm and the environment. We want to leave the land in better condition than we found it.